Vertu(Nokia Corp.'s Subsidiary) is producing and selling limited edition of 60 phones each priced at $24,400. 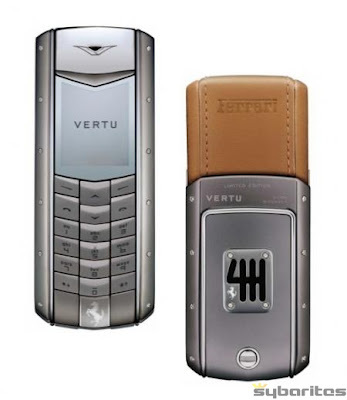 The phone "The Vertu Ascent Ferrari 60" is created to celebrate sports-car maker Ferrari SpA's 60th anniversary. 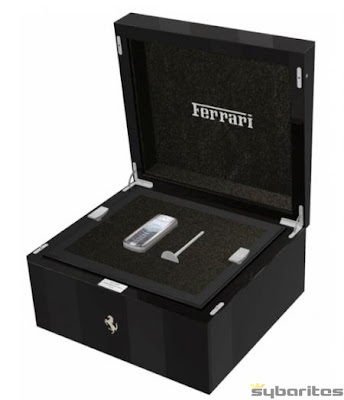 According to company representative, the phones are hand assembled using top-of-the-line stainless steel and titanium components, as well as leather from authentic Ferrari suppliers. People would be paying money for it's craftmanship and high quality branded material used for it. Paying $24,400 only for a phone is out of reach for middle-class like us but it's for sure, someone diehard fan of ferrari or celebrities gonna own this one for sure as a status symbol. and hey, i'm not commenting simply so you'll visit my blog. please don't visit it, i stopped updating it years ago.. haha! take care bro! rujesh, thank you very much and i really appreciate your kind words. you can check tips and tutorials section for more interesting articles. These are limited because, i myself first go through those tutorials and then only put it there. You are right, these fabulous are out of our reach. Euta ghar kinna sakney paisa ley kaha mobile kinnu.. hoina ra? Braindead, why did you stop blogging myan? keep this job up.. i've been to your blogs and they're old by a year or so.. and checked your profile. me too from USA and you too.. nice to meet you pal..
so expensive. I can buy a small house with that. ..but for billionaires, who always seek out how to spend money, it's nothing for them. i guess..